Annisquam Herb Farm: Onions coming along . . . Onions coming along . 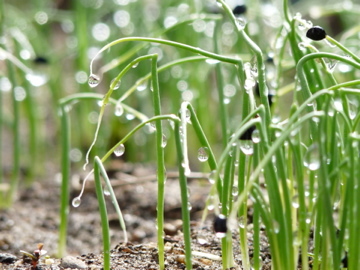 . .
Beautiful onion seedlings after a shower!